There is no denying the fact that basements are important part of any home. They are used in many different ways, like some transform it to a laundry room, some use it as a storage room, while many others use it as a family room. No matter how you use it, the main point here is to make sure that it is clean and well-maintained. When we talk about taking care of the basement, humidity is something that you cannot forget to think about. While a small amount of humidity has its advantages, excess of humidity can result in a number of problems, like peeling of paint, molds, dust mites, etc. However, a dehumidifier for basement can protect you from this problem. To eliminate the excess of moisture, these dehumidifiers use a fan which moves the air through its refrigerated coils, enabling it to pull moisture from the room and collect it in a tank. But if you are looking to buy the best dehumidifier for basement, there are few things that you should know. Continue reading to know them. According to ASHRAE (American Society of Heating, Refrigerating and Air Conditioning Engineers), the relative humidity should be between 30% and 50% in the months of summer and between 30% and 40% in the winter months. To accurately measure the humidity in a room, you can purchase an inexpensive, small hygrometer. 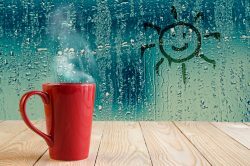 Not just when the humidity levels are high, best home dehumidifier can also be very helpful if the humidity levels are very low. But if the air is highly moist, it is with the help of a system designed for moisture removal that you’ll be able to maintain the humidity at healthy levels, protect your furniture from damage caused due to water and control the musty odours. Maintaining healthy levels of humidity is important to prevent the growth of mildew ad mold. As 60% is considered as a high indoor humidity level, it should be maintained between 30% and 50% with the help of the best dehumidifier on sale. With the help of a dehumidifier for basement, you can protect the basement from the spread of allergens as the mold spores, dust mites, airborne bacteria are major triggers of these allergens. Just like the allergens, even the pests, like silverfish, cockroaches, spiders, etc. prefers to live in a moist environment. Thus, maintaining healthy humidity levels will keep these pests as at bay as well. Excess of moisture in the basement or the crawl space can also result in damages to the bucking floorboards, support beams, hardwood floors, etc. However, with the help of a crawl space dehumidifier you will be able to maintain the humidity and will be able to protect your home from costly repairs. While you may not know, but it is the combination of dry and cool air that makes your home cool. Thus, when you have a dehumidifier for basement, it can do an excellent job of protecting your air conditioning system from working overtime to cool your home. 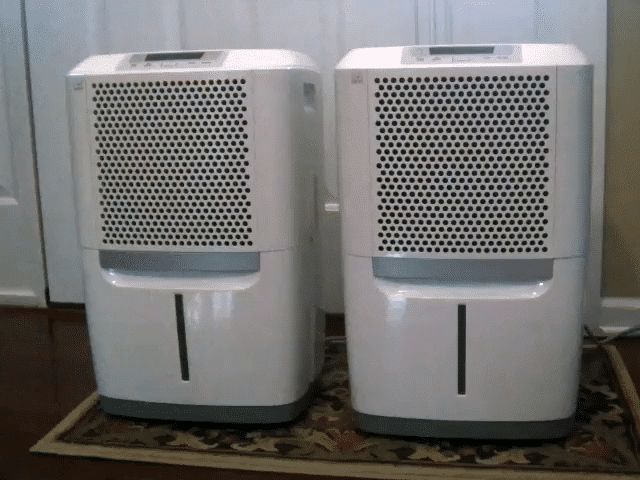 When it comes to buying the best dehumidifier for basement, one of the most important considerations is the size of the dehumidifier and this is where majority of the owners make a mistake. So, what size dehumidifier do you need? Let us try to find this out. The size of a dehumidifier depends on its capacity to remove moisture. Pint is the unit that is used to measure the capacity of a dehumidifier to remove moisture within a period of 24 hours. For instance, if the capacity of a dehumidifier on sale is 25 pints, it means that it is able to remove 25 pints of moisture in 24 hours. To an extent, it is the capacity of a dehumidifier that indicates the total area that a dehumidifier is ideal for. So, if you know the total area of the basement in square feet, you can loosely determine what capacity of dehumidifier you need. Another important consideration while choosing the size of a crawl space dehumidifier is the condition of the area. If the dampness is little, you can get a dehumidifier that can cover the entire space, but is the dampness is too much, you should go for the one with a larger capacity. Apart from what size dehumidifier do I need, you also need to consider many other factors, like its portability, features, capacity of the storage tank, price, brand, etc. We will have a detailed look at all these considerations. If you don’t want to place the unit at a permanent location and want to move it between rooms, go for a dehumidifier for basement that is compact, light in weight and has rolling casters or carrying handles. This feature does a great job of automatically shutting off the unit when the required humidity levels are reached or when the storage tank is full. If you want to adjust the level of humidity as per your preference, make sure that you go with a quiet dehumidifier that comes with a built-in humidistat. This will enable the machine to automatically turn itself on/off as per your humidity settings. Dehumidifiers that come with an automatic discharge port eliminate the hassles of manually emptying the storage tank. Simply connect a hose to the dehumidifier and it will automatically dispose the water continuously. The dehumidifiers on sale that come with washable filter are able to catch airborne particles and dust. You can remove the filter, wash it and then place them again to ensure that the air in your home is healthy. Almost all the types of dehumidifiers come with a storage tank for collecting water. If you are not going with a model that features a drainage port, remember that you will be required to dispose the collected water from the storage tank periodically. If you live in a colder region, go for a dehumidifier for basement that features anti-frost sensor. This will ensure that the frost doesn’t gets collected on the sensor. Dehumidifiers are available across a wide price range. 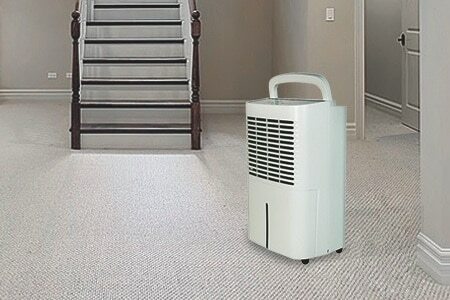 You can get a small dehumidifier for basement in less than 50 or can spend more than 300 for a larger model. The brand of the dehumidifier you choose is also very important. Make sure that you only choose a reputable brand to ensure that you get a dehumidifier that functions efficiently for years to come. Remember the above mentioned information while purchasing a dehumidifier for basement. While it is not very difficult to choose a dehumidifier, it is not very difficult to end up with a wrong model as well. So, use the above mentioned information and you’ll surely make a smart buying decision.